I’ve wanted to try making jam for a really long time, so when our strawberry patch in our front flower bed was loaded with berries this past week, I knew I had my chance. There was just enough berries to make a small jar of homemade jam, and it turned out super-yummy. I didn’t have any pectin on hand, so I tried a really easy recipe that didn’t involve any pectin and it worked great! 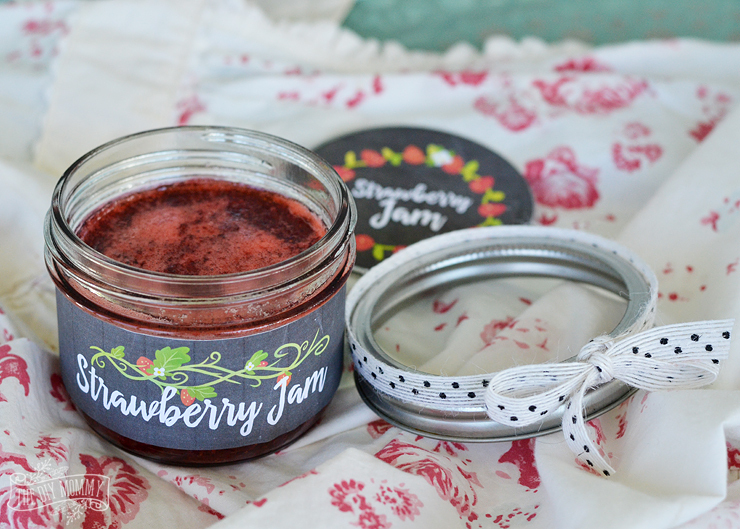 Let me share an easy strawberry jam recipe with you today along with some sweet, free printable vinyl jam jar labels. 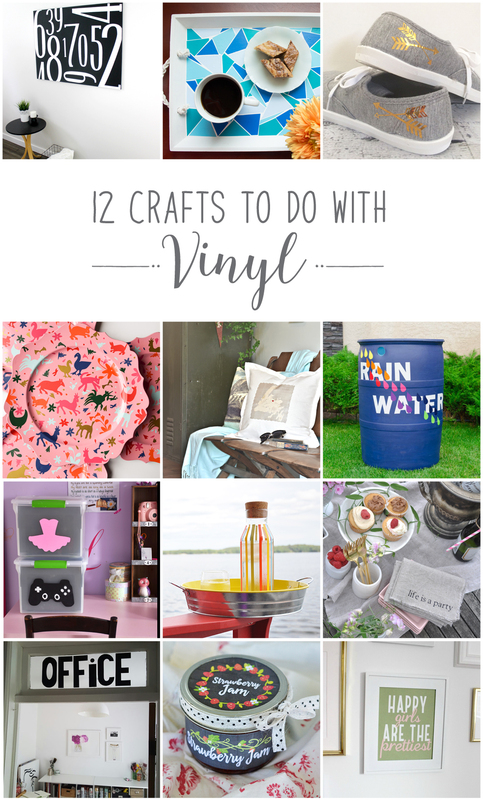 Make sure to scroll down to the bottom of this blog post to see what other things my blogging friends made with vinyl this month! I found the trick to this easy jam recipe was to make sure the jam mixture was hot enough before I put it in the jar. I used a thermometer to test that my jam was hot enough to be a good jammy consistency (it’s a word! ), but you could also put a little blob in the freezer for a minute and run your finger through it. If the jam doesn’t run back together, it’s ready to be canned. 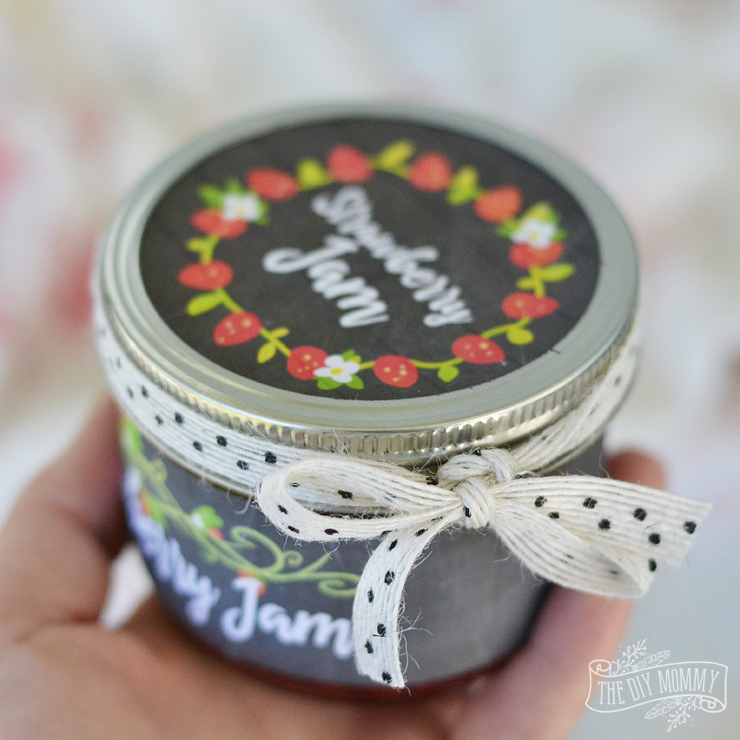 To make this homemade jar of jam extra cute (or perfect for a little gift! ), I designed some labels that I printed on to Inkjet Printable Vinyl from Expressions Vinyl. This vinyl was so fun to work with! 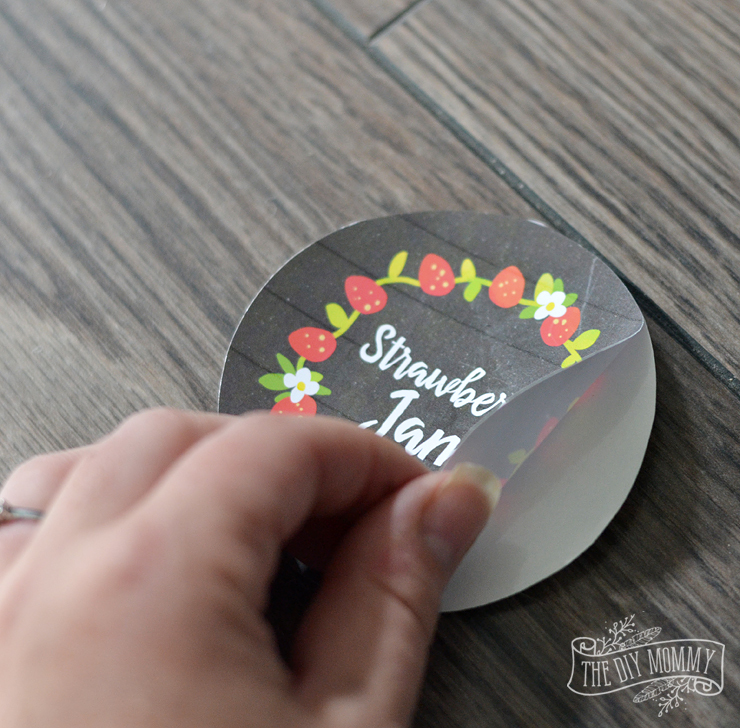 It’s such a great option for making DIY labels because it’s a lot thicker than regular printable sticker paper, plus it’s a little stretchy so it’s easy to smooth around curved surfaces. 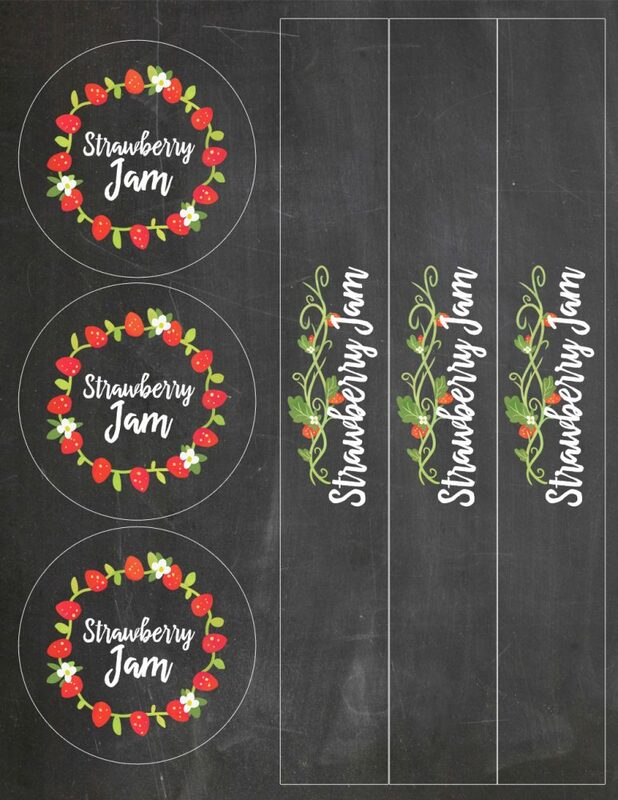 If you’d like to download your own strawberry jam labels, click on the image below or click here for a free letter-sized PDF. 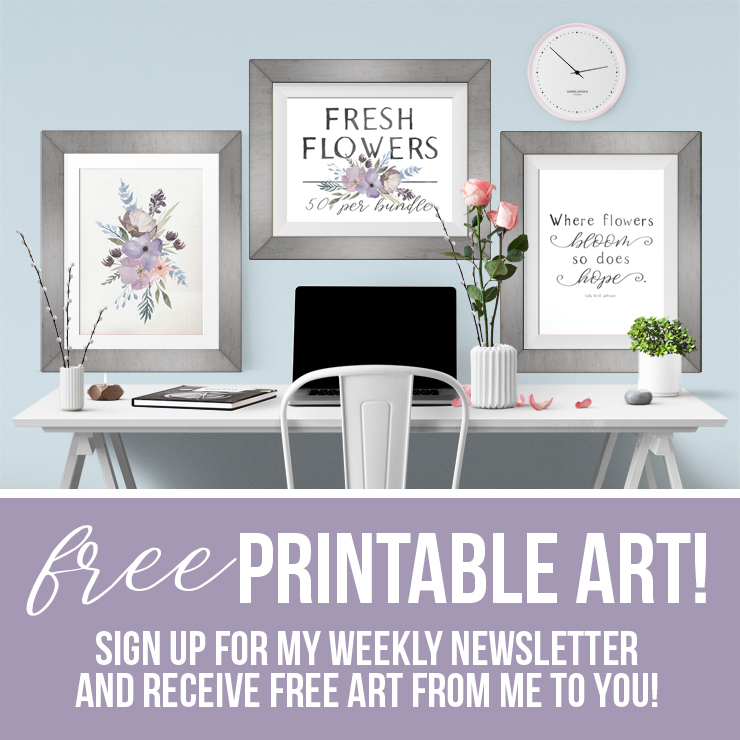 You can find the Inkjet Printable Vinyl right here. This simple strawberry jam has only three ingredients. Place the mashed strawberries, sugar and lemon juice in a saucepan. Mix and heat until the mixture boils. Boil the mixture until it reaches 220 F.
Pour the mixture into a small mason jar, seal, and refrigerate. If you want to store the jam for later, seal and process the jam in a water bath. 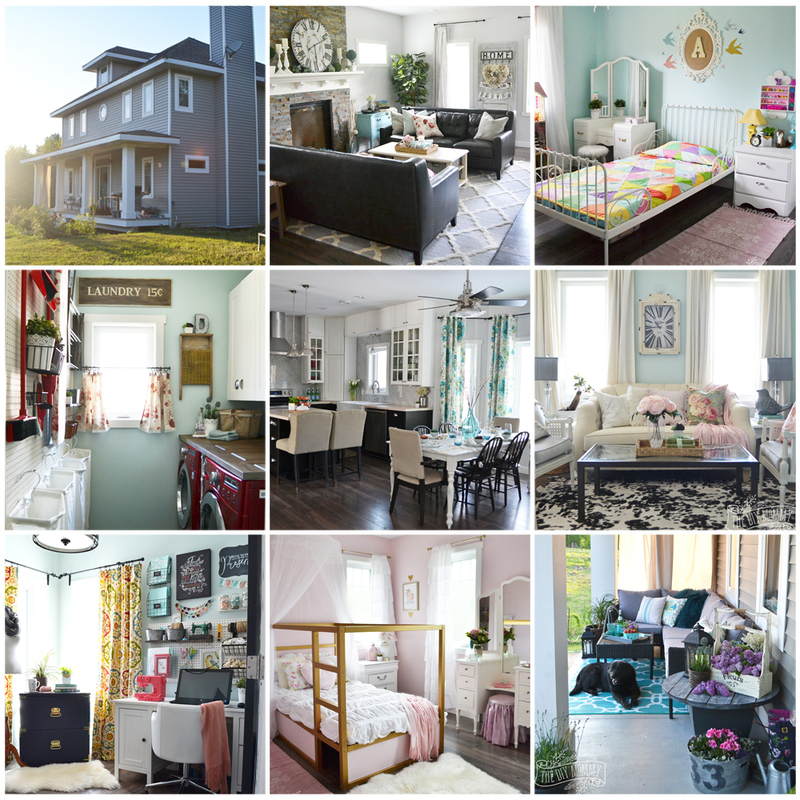 Now it’s time to see the rest of the DIY vinyl project ideas from my Canadian blogging friends! 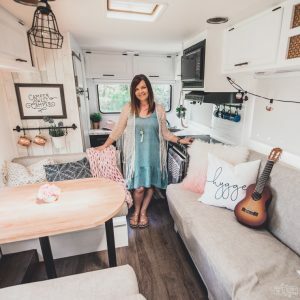 DIY personalized throw pillow – home is where the heart is from Vin’yet Etc. Disclaimer: This post is sponsored by Expressions Vinyl. As always, all of the opinions here are my own. I only recommend companies that I use and love myself. These are so sweet, great idea. And, the jam looks delicious. These are just darling! I mean what adorable little gift they would make, or imagine when you store them and when it’s the middle of winter and you go to get your summer time strawberry jam… so delish and adorable, I’m sure this will bring a huge smile to your face once the winter gets us, great way to keep a bit of summer all year long! 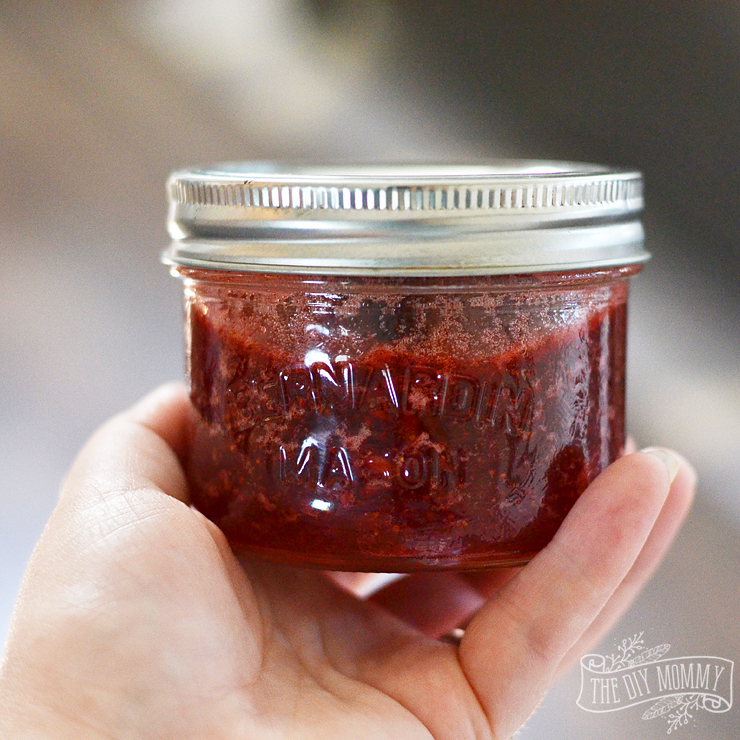 I am so impressed with how simple your strawberry jam recipe is. It only uses three ingredients. It is also very smart to make a small batch. Your label made from vinyl is so clever and artistic. 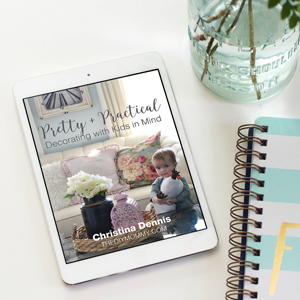 It is the perfect complement to a homemade recipe! 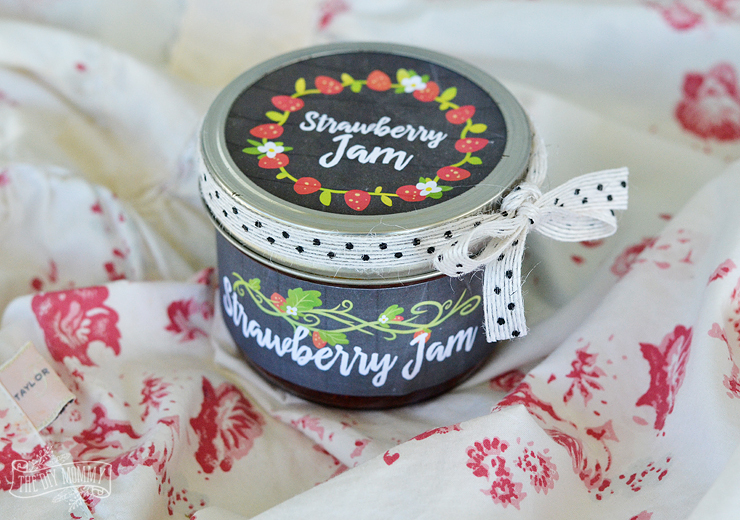 I adore strawberry jam, and these jars are so cute with your handy labels on them. How great that you can print the design right on the vinyl! So once you boil the mixture and put it in the mason jar, do you let it cool before refrigerating? or do you put it in the fridge when its still hot? Also, can you use the same process with other fruits? I have a ton of plums and pears. How long will the jams stay good until? Not that they will last that long in my house! Wow, printing vinyl label could be a better substitute of a paper sheet as it is more vibrant. those strawberry jams delicious with vinyl labels are so creative.